In today’s real estate market, contractors must be very cautious and proactive in order to effectively assert and assure their lien rights. There are several potential loopholes in Florida law between the state’s Lis Pendens Statute and Construction Lien Law, and the South Florida construction law attorneys at our firm believe that there is one specific discrepancy between the statutes that has the potential to be particularly troublesome for contractors. Except for the interest of persons in possession or easements of use, the recording of such notice of lis pendens, provided that during the pendency of the proceeding it has not expired pursuant to subsection (2) or been withdrawn or discharged, constitutes a bar to the enforcement against the property described in the notice of all interests and liens, including, but not limited to, federal tax liens and levies, unrecorded at the time of recording the notice unless the holder of any such unrecorded interest or lien intervenes in such proceedings within 30 days after the recording of the notice. If the holder of any such unrecorded interest or lien does not intervene in the proceedings and if such proceedings are prosecuted to a judicial sale of the property described in the notice, the property shall be forever discharged from all such unrecorded interests and liens. Generally, a lienor recording a claim of lien will not do a title search of the property until it files its foreclosure action. The lienor has one year from the date of recording its claim of lien to file its foreclosure action. Consequently, a lender can file a foreclosure action and record a lis pendens, and the lienor will have no actual knowledge of the lis pendens until a title search is performed at the time of the filing of the lawsuit. If the lis pendens was recorded more than 30 days before, it appears that Section 48.23 of the Florida Statutes could bar the enforcement of the lienor’s claim of lien. This application of Section 48.23, Florida Statutes can be detrimental to contractors, subcontractors and other lienors as defined in Chapter 713 who are working to improve the property that is secured by the mortgage, which, arguably, benefits the lender. The lienors may not have reason to know that the lender has started foreclosure proceedings and, pursuant to the Construction Lien Law, the lienors may still be within their rights to record a claim of lien even after a lis pendens is recorded. There is little case law dealing with the interplay between these two important statutes. Accordingly, lienors working on projects in this uncertain economic climate should make every effort to keep a close and careful eye on the financial and legal status of the project, and they should act quickly to record their claim of lien as soon as appropriate after non-payment. 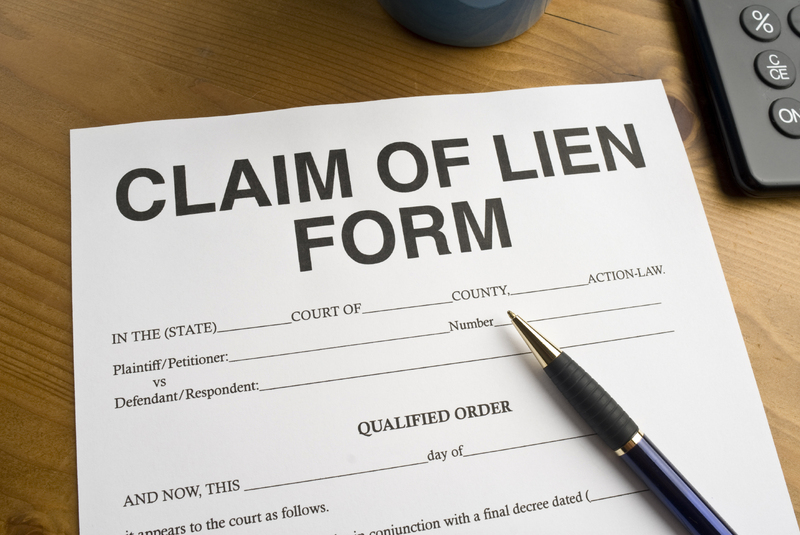 In addition, it is vital for the lienors to work with a qualified and experienced construction industry attorney and perform title searches on the property in order to determine whether a lender (or other lienor) has recorded a lis pendens that could impact their ability to foreclose their claim of lien. Our lawyers who focus on construction law matters in South Florida will continue to write about important legal and financial issues for the industry in the state, and we encourage industry members to submit their e-mail address using the box on the right in order to automatically receive all of our future blog posts.